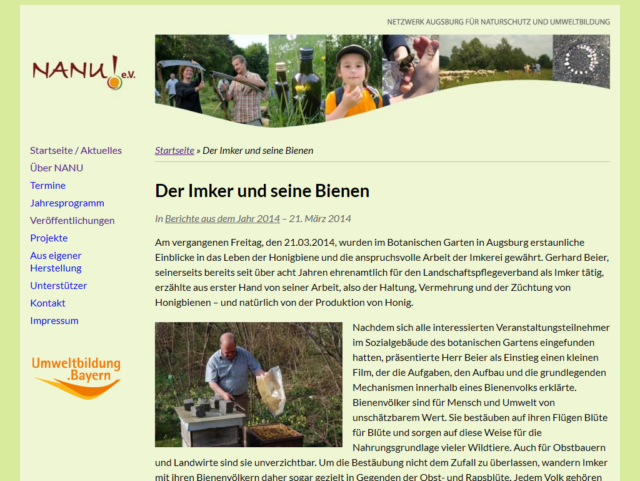 Projects » Websites » Website of the NANU e. V.
Website of the NANU e. V.
I implemented the website for the NANU e.V. in Augsbug in the beginning of 2016 as a replacement for the old content management system which was very cumbersome to handle. The design was deliberately kept simple and one of the major requirements was that the end users are able to update the content easily without. Technically it is based on WordPress with a custom layout.